Clients frequently ask us if class action lawsuits and mass tort lawsuits are the same. They do share commonalities. For example, both involve a large number of individuals suing one or more defendants for causing harm like food poisoning from salmonella-tainted vegetables. Despite certain similarities, the two types of lawsuits are not the same. Continue reading to learn about the differences. A class action is a type of lawsuit that allows one or more plaintiffs to file on behalf of a large group of people (a “class”) who share similar claims for damages and injuries. Class actions are intended to decrease the number of cases that are filed when the same problem harms many people. If each class member were to file a separate case, the quantity of cases would quickly become unmanageable for the court system. Class actions protect members of the class who are not actively a part of the lawsuit. In a traditional lawsuit, all parties to the suit, including the plaintiffs and defendants, must be present. In contrast, in a class action, only the person representing the class as a whole is present during the suit. The class representative pursues his or her claims as well as the claims of the absent members. Class actions also spread the costs of pursuing a lawsuit across a greater number of people, making it less expensive for everyone. the proposed class representative will reasonably protect the interests of the class as a whole. Mass tort claims often arise when defective drugs or products injure a substantial number of consumers. Because a prescription drug or a faulty product can be responsible for an extensive range of injuries — consider the countless minor and severe potential side effects listed for each prescription drug, for example—the damages among cases in a mass tort may be diverse. Instead, one attorney or a group of attorneys represents injured plaintiffs in independent cases. Plaintiffs file their lawsuits individually and, at least during the discovery phase, cases are often consolidated into one court. Information gathered during one attorney’s investigation can be shared among the individual cases, helping all plaintiffs with similar suits to more effectively obtain fair compensation for the harm they incurred. The chief difference between a class action and a mass tort lies in the treatment of the group of plaintiffs. A court must certify class actions, but mass torts do not have such a requirement. Plaintiffs in a class action have essentially the same damages, but in a mass tort, the plaintiffs’ claims are distinct given the broad range of injuries. These differences in the injuries mean it is more difficult to establish compensation and settlement amounts in mass torts. They also tend to be less structured, with confusing legal procedures, making the litigation more complex than class actions. 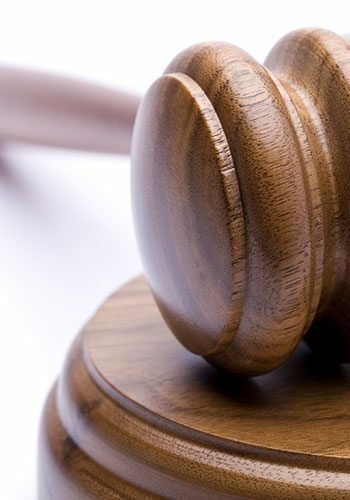 Our firm has engaged extensively in both types of litigation. Our antitrust work primarily consists of class actions, and our pharmaceutical lawsuits are typically mass torts. If you would like to speak with one of our attorneys about your case, call us today.